Joan Leslie heads for the market, on a break from shooting the 1947 Eagle-Lion Studios noir, Repeat Performance. Leslie’s credits include Yankee Doodle Dandy, Sergeant York, High Sierra and Rhapsody In Blue. 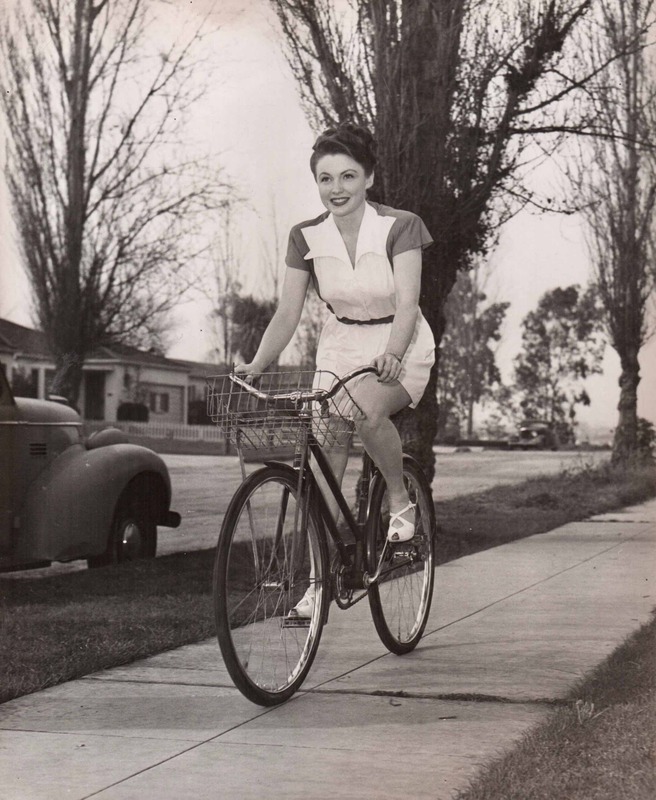 The photo caption uses an expression not heard much these days — “doubles in brass”– as in: “JOAN LESLIE doubles in brass by getting her exercise while doing the marketing for the family.” Photo: Ted Weisbarth.